Ethereal beauty Vidya Balan donned beautiful traditional attire. Bollywood actresses have been slaying in their Saree Blouse looks since time immemorial. The beautiful variety of saree designs and patterns worn by celebrities have always been interesting. At times it is the draping of the saree that catches attention, the design of the blouse, colours of the saree and the fabric it is made up. Vidya Balan is a saree champ. She does saree lookbooks better than any of her contemporaries. 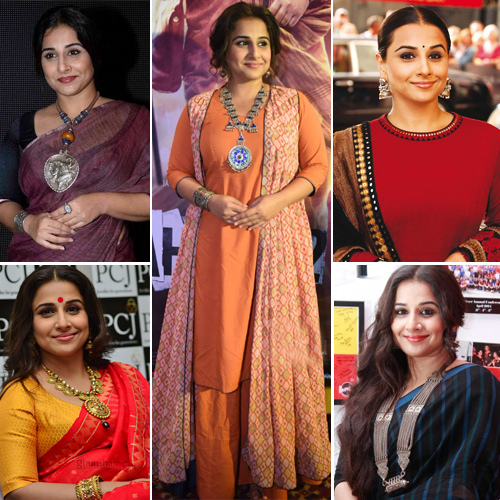 Vidya maintains the traditional look with a class.